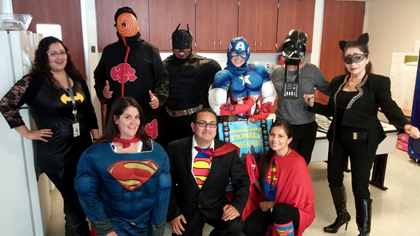 SouthEast Family Resource Center dressed up for Comic-Con in 2015. With Comic-Con in town, it’s hard not to tap into your own inner superhero. Whether you are celebrating the annual pop culture and comic book convention by attending the event or just wearing your favorite Superman t-shirt, share your photos.